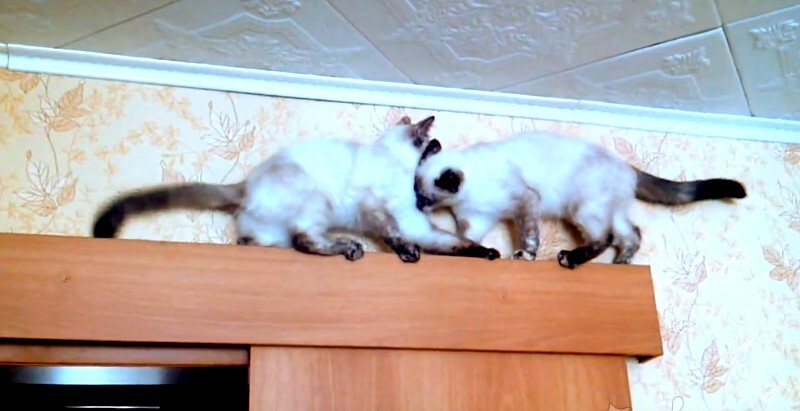 A couple of very sassy and decided siamese cats made quite a lot of graceful but funny attempts to cross each other while perched atop a narrow door frame. There’d probably be more research on cats if they would just do what they were told for two seconds. But according to researchers, cats’ famed aloofness extends even to the laboratory, and attempts to cajole cats into giving up a glimpse into their minds are blocked by cats’ preferences just to be doing something else. 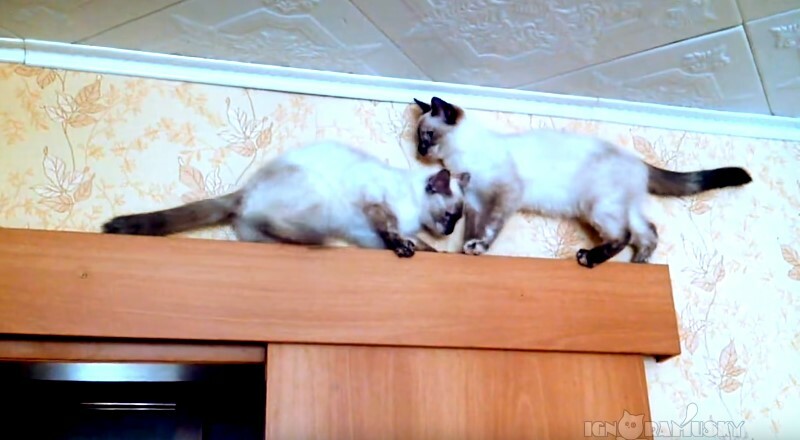 The graceful and determined siamese cats carefully made some adorable attempts to pass each other while on top of a narrow door frame. At first, the task proved to be quite difficult, but eventually, they figured it out. The pair can be seen facing each other on top of the thin ledge. As they both try and bypass each other to get to the other side of the frame, they can be seen jostling uncomfortably in the middle of their balancing act. Though some animals may have called it quits, the two felines eventually find a way to slip past each other in a sufficiently elegant but amusing fashion. The one thing that every new kitten owner dreams of is having their kitten grow up to become an adoring, confident, people-friendly cat. Producing the "purrfect" cat is not a question of nature or nurture, it’s both. With kittens, it’s socialization, socialization, and socialization. If you, the kitten’s new owner, can bring all these components together, then you will achieve your dream cat.